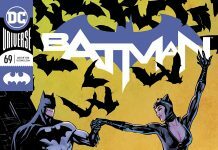 BURBANK, CA – (November 15, 2018) – Leading into Batman’s big 80th celebration next year, DC announced today the World’s Greatest Detective will be honored with two milestone book releases in March 2019. DETECTIVE COMICS: 80 YEARS OF BATMAN THE DELUXE EDITION will be a spectacular oversize hardcover book, and DETECTIVE COMICS #1000 will be a collector’s edition of the 1,000th issue of the periodical comic that launched the high-flying adventures of the world’s most popular Super Hero. Retail orders for these books will be available soon. 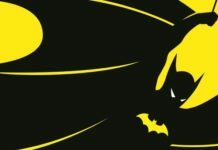 Since his debut in DETECTIVE COMICS #27 in March 1939, Batman has been the most popular DC Super Hero in the world, resulting in repeated waves of pop culture “Bat-mania” for many generations. Whether known as the Dark Knight, the Caped Crusader or simply Batman, his appeal is global, and he has headlined comic books consistently since 1940, representing thousands of comics titles that have regularly been industry best-sellers no matter the comic book era. DETECTIVE COMICS: 80 YEARS OF BATMAN THE DELUXE EDITION will feature an all-new cover by Jim Lee and several unpublished treasures, including a story about a traumatic early moment in Bruce Wayne’s life by Paul Levitz and acclaimed artist Denys Cowan and an extraordinary look at a work in progress—Bob Kane “ghost” Lew Sayre Schwartz’s original layouts for the Batman tale from DETECTIVE COMICS #200. 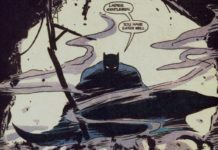 In addition, the celebratory book will include essays looking at Batman from extraordinary perspectives including Cory Doctorow, Neil Gaiman, Glen David Gold, Denny O’Neil, former San Diego police chief Shelley Zimmerman, and pulp historian Anthony Tollin. The collectible hardcover book follows the best-selling ACTION COMICS: 80 YEARS OF SUPERMAN and again features guest editor Paul Levitz. 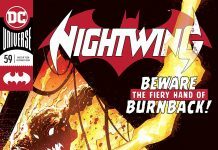 Classic reprints of the Dark Knight’s most memorable adventures will also be highlighted, from his first appearance to peak moments and the debuts of Robin, Batwoman, Bat-Mite, Batgirl and Super-Villains such as Two-Face, the Riddler, Clayface and Man-Bat. Plus, the must-have book will include the first tales of Slam Bradley, Air Wave, the Boy Commandos and the Martian Manhunter. DETECTIVE COMICS #1000 periodical commemorates the anniversary of Batman’s first appearance in DETECTIVE COMICS, the title from which the DC brand itself was born. 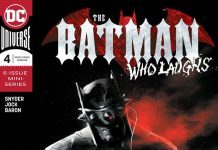 The 96-page landmark issue will feature an original story written by New York Times best-selling author Peter J. Tomasi (BATMAN AND ROBIN, DETECTIVE COMICS, BATMAN: ARKHAM KNIGHT) with stunning artwork by Doug Mahnke (BATMAN: THE MAN WHO LAUGHS, BLACKEST NIGHT). 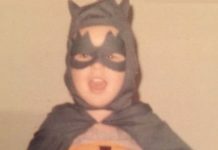 Paying tribute to the Caped Crusader’s 80-year legacy, the book will also include a series of supporting stories by top DC talent, including Geoff Johns, Brian Michael Bendis, Paul Dini, Christopher Priest, Denny O’Neil, Neal Adams, Kelley Jones, Dustin Nguyen, Alex Maleev and more. Marking eight decades of crime-fighting, the oversize 1,000th issue of DETECTIVE COMICS will reveal a never-before-seen iteration of the Arkham Knight, as well as original stories by some of the biggest names in comics. 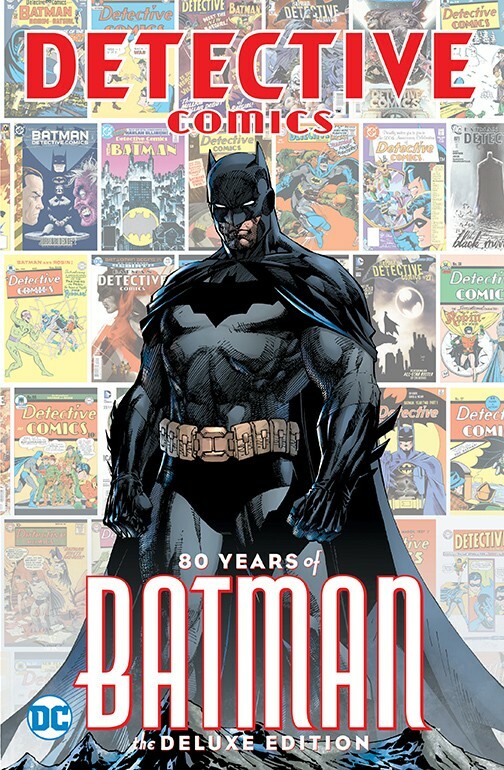 To further celebrate the cultural legacy of the iconic Super Hero, DC will present a special hardcover release, DETECTIVE COMICS: 80 YEARS OF BATMAN THE DELUXE EDITION, including new artwork, all-star contributors and thrilling untold stories. 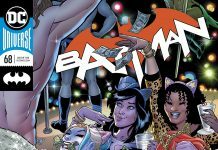 These two special publishing exclusives, available in March 2019, are certain to become collector’s items as part of DC’s yearlong plans to honor 80 years of Batman storytelling. More details on the cross-company festivities and global celebration will be released in the coming months. 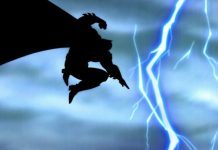 Visit www.dccomics.com or the DC YouTube channel for the latest news and updates. 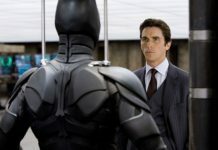 Who Will Be The Next Cinematic Batman?